The pack you choose says a lot about your hiking style. Are you an ultralight fastpacker? Do you carry everything but the kitchen sink? Most likely you fall somewhere in the middle, and this year, we have highlighted the best backpacking packs regardless of what type of hiker you are. Your gear list needs to go hand-in-hand with your pack. The desire to go ultralight is tempting, but choosing the wrong pack for your base weight can lead to discomfort or even injury. Being honest with yourself is important—your pack is one place where you can’t decide to go ultralight if the rest of your gear isn’t also ultralight. Frameless UL packs have pretty hard lines for weight capacities, which means more than just considering volume—you also need to be aware of support and weight distribution. 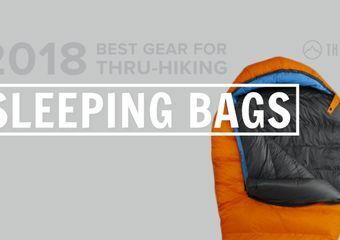 The best backpacking packs will look different depending on what you’re loading inside. While padding and endless pockets mean comfort and organization, carrying a larger, more featured pack means your base weight can increase by several pounds. That might not seem like a lot while you walk around the store, but the weight adds up over hundreds of miles. Also, if you have a larger capacity pack (65-70 liters), you’re more likely to fill it with things you don’t need. This year, we have a fair amount of middle-of-the-road packs. Less padding and pockets, but featuring fantastic suspension, enough organizational options to satisfy most hikers, and excellent load distribution. Some of our longtime favorites have gotten a facelift, as well as new players from classic brands. Each year sees more progress with increasing durability and streamlining, plus deciding which features are necessary. This helps strike the balance between weight-saving and comfort that long-distance hikers look for. Here are our top picks for the year, in no particular order. 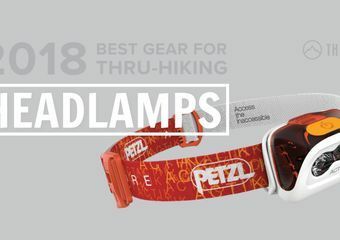 Hikers looking to lighten the load with less gear and a maximum base weight of 16 pounds, but want comfortable suspension and functional internal frame over UL / frameless. Removable brain with two pockets, mesh suspension on the back, adjustable chest strap, hip belt pockets, deep side pockets, and large front pocket; an optional rain cover comes with the pack. Also available in 55L. Gregory has entered the middle-of-the-road market with packs boasting their signature comfortable straps and suspension, but in streamlined models using lighter fabrics and closures. 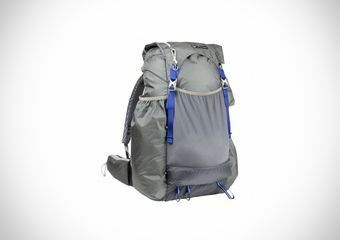 This pack toes the line between more heavy, featured packs and ultralight frameless packs, and does a terrific job striking that balance. The pack is comfortable, sits against your back while not getting sweaty, and the suspension’s load transfer capability is out of this world. For hikers looking for more organization, the brain has an upper and lower pocket, and comes with a separate rain cover. Buckles, straps, and compression are durable and well-placed for on-the-go adjustments. 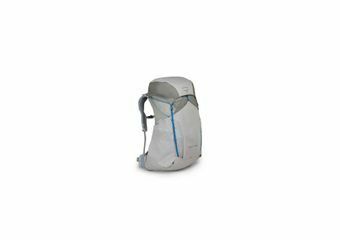 This is a great middle-ground pack for hikers with smaller-volume gear loads looking for a streamlined pack with maximum comfort and necessary features. Thru-hikers looking to put major miles under their feet each day, carrying a base weight of 12 pounds or less. Highly adjustable hip belt, customizable color, durable 400 Robic fabric, comfortable hip belt and chest strap, front mesh pocket, hip pockets, drawstring closure. This is a slightly smaller capacity than other ULA favorites, but still has the comfort that fans of the brand know and love. It has a large capacity of over 60 liters, but is not optimized for base weights over 12 or so pounds, with a maximum load limit of 30 pounds. The ULA fabric is as durable as always, and the stretchy front pocket provides ample room for layers or quick-grab items. Stretchy side pockets are perfect for water bottles, and the suspension is adjustable and offers fantastic load transfer. Sweaty backs beware; the pack does sit right against your back (as opposed to mesh suspension) so you might get some dampness through your shirt. As the majority of this pack is made up of one giant main compartment, this might not be the one for thru-hikers who like to keep their small items organized. Ultralight hikers looking for an internal frame pack with good suspension and not too many features. Osprey’s Airspeed suspension, brain with zippered pocket, abrasion-resistant Nanofly nylon fabric on top and bottom, large mesh pockets on sides and front. Both available in 45L. Osprey took its middle-of-the-road packs one step lighter with this edition geared specifically at ultralight long-distance hikers. 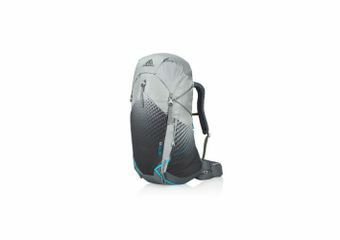 The pack follows a similar overall structure to the Exos / Eja, albeit with lighter-weight fabric on the body and pockets. 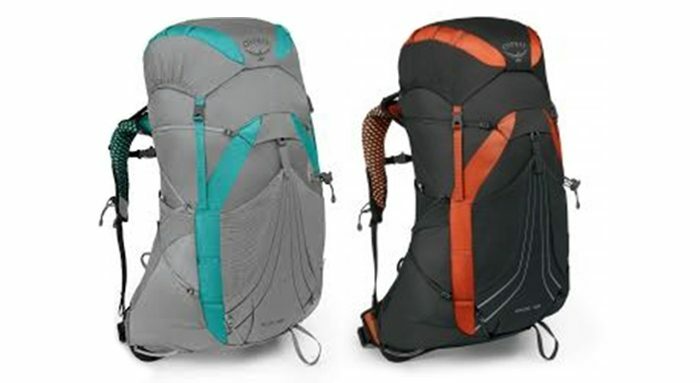 For a sub-two-pound pack, Osprey has done an outstanding job with suspension and load transfer, but limit your base weight to ~13 pounds as the padding is minimal on the shoulder straps and hip belt. The pack is highly comfortable and fits true to size, using the Exoform harness. The brain is not entirely removable, and functions more as a top-accessed pocket than as a large-capacity lid like most brain attachments. The water bottle pockets are large, but wider bottles might get caught in the fabric, and can be difficult to access while wearing the pack. This is Osprey’s first iteration of this pack, and we look forward to seeing updated editions in the years to come. 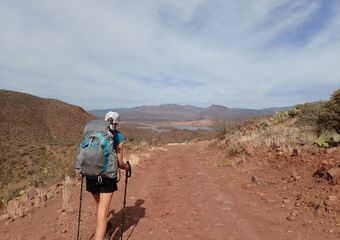 Weight-conscious thru-hikers looking for a comfortable high-capacity pack, carrying a base weight of 15 pounds or less. Four-point articulated hip belt, large front mesh pocket, roomy hip-belt pockets, compressible roll-top closure, durable compression straps, removable accessories. This is a classic thru-hiking pack from this trusted cottage-industry brand. A single aluminum stay and a dense foam insert take the place of a traditional internal frame, which leaves hikers comfortable while saving the weight from a standard internal frame. The capacity in this pack is a good size for PCT hikers who need to carry a bear canister, and the Cordura fabric can take thousands of mile of abuse. 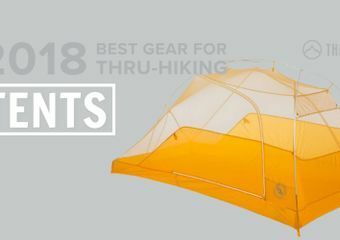 This has fewer pockets than other packs of a similar weight, which could be a hassle for thru-hikers looking to organize their smaller gear, but the pockets it comes with are large, durable, and well-placed. The large mesh front pocket holds wet and/or quick-access gear, water bottle pockets are easy to access, and the hip belt pockets hold a phone and snacks. The Circuit has a maximum recommended weight of 35 pounds, but if you’re carrying this pack, we recommend carrying less. The articulated hip belt does a stand-out job keeping the weight where you want it. Sweaty hikers beware; the back padding doesn’t quite allow for adequate ventilation in excessive humidity. 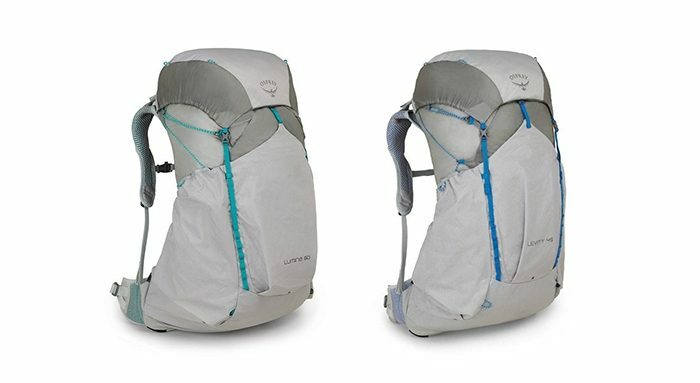 Hikers looking to lighten their load but who aren’t light enough to commit to a frameless UL pack. Options for removable unisex hip belt, straps, pads. The Mariposa is an ideal pack for those who are close to, but not quite, ultralight. This pack is full of features, including a newly designed unisex hip belt (sold separately). The packs boasts seven external pockets, and this year’s version comes with larger hip belt pockets than previous iterations. The pack has an aluminum stay for added support, and a removable back pad for added structure and support, which can also function as a sleeping pad for hikers who choose to not carry a full-length sleeping pad. 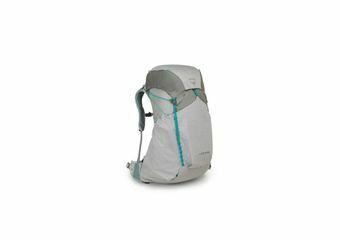 The Mariposa carries 25 pounds more comfortably than other packs of similar structure, optimal for hikers with a changing base weight based on terrain and conditions throughout an extended hike. 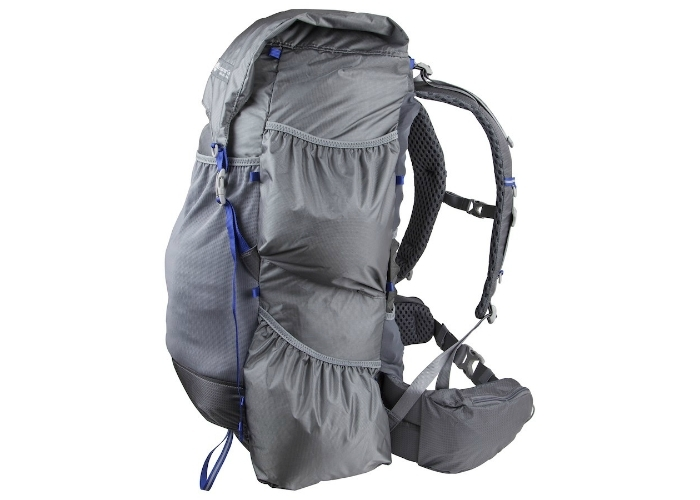 This pack is possibly the most comfortable pack for moderate load weights, and is a great option for hikers who can’t commit to an ultralight load. If you’re striving for the most UL possible setup, this pack comes in a little heavier than others. 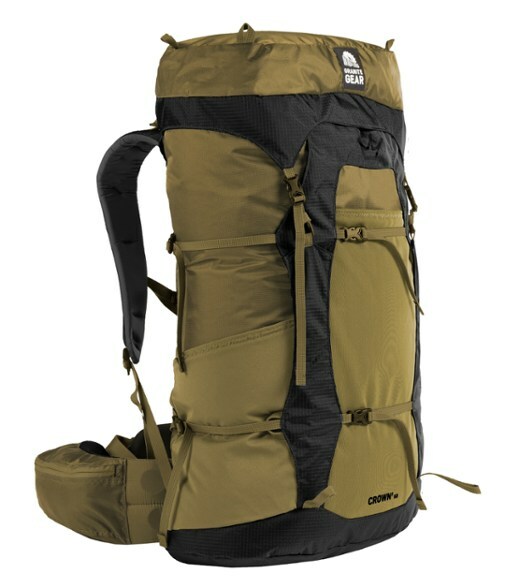 Hikers carrying 18 to 25 pounds, looking for a comfortable, highly convenient pack without all the bells and whistles of a more heavily padded bag. Major redesign for this year, including more durable mesh pockets and the addition of a women’s specific version (Eja). Pack has mesh suspension backing, drawstring closure under removable brain. 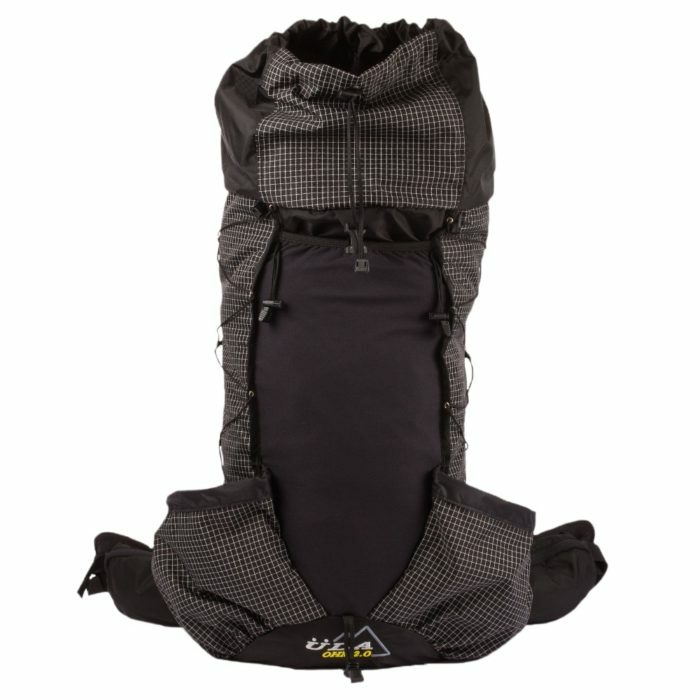 Eja comes in 48L and 38L; Exos comes in 58L and 48L. This thru-hiker fave saw a major overhaul this year. Material durability was increased, adding several ounces to the overall weight. This is still a comfortable, convenient pack, but fans of the older model might be distressed to see the loss of shoulder-strap pockets and hip belt pockets. We wouldn’t be surprised to see them return in future models. The pack has two mesh water bottle pockets, a large mesh outer pocket, and the removable brain with zippered pockets on the top and bottom. Hikers might find Osprey’s recommended 30-pound limit to be too heavy, as the Exos / Eja have less padding and thinner straps. The women-specific Eja is very similar to the redesigned Exos, albeit with adjusted sternum strap location and narrower shoulder straps. The hip belt is now more adjustable on both packs, accounting for potential weight loss during a long-distance hike. 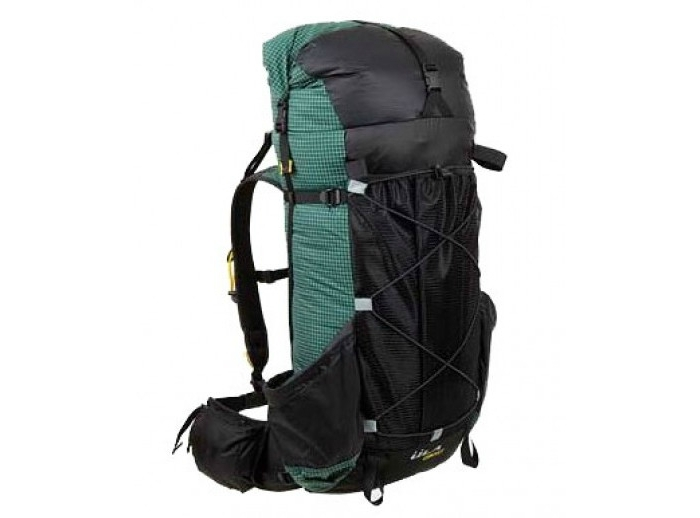 Hikers carrying 18 to 30 pounds, looking for a streamlined, high-volume pack with comfortable padding. Removable internal frame, moldable padding on the hip-belt and shoulder straps, removable brain, updated webbing for compression straps, large hip belt pockets. Roll-top closure with compression straps. It’s hard to believe that a pack this comfortable weighs barely over two pounds. Granite Gear’s team has done an exceptional job engineering a lightweight pack that has many conveniences of more featured packs, while keeping the construction durable and the material weight down. The side pockets and external mesh have been updated to a more durable, stretchy fabric that now fits gear and water bottles with ease. The ergonomic hip and shoulder padding have stayed the same, making this one of the most comfortable lightweight packs on the market. Contouring on the padded back panel lets sweaty backs breathe while reducing weight, and the low-profile “Vapor Current” frame is removable for outings with lighter loads. The hip belt is removable and the length is easily adjusted, perfect for hikers dropping pounds on the trail. 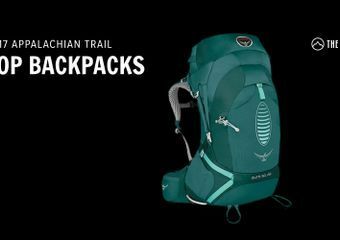 Weight-conscious thru-hikers carrying a maximum 15-pound base weight, looking for a streamlined, durable pack without extra features. This pack was designed with one purpose in mind: To get your gear from point A to point B with no bells and whistles. It’s durable, simple, and doesn’t have more features than necessary. It does have a roll top with Velcro closure, side compression straps to secure your load, and an external pocket for added organization. 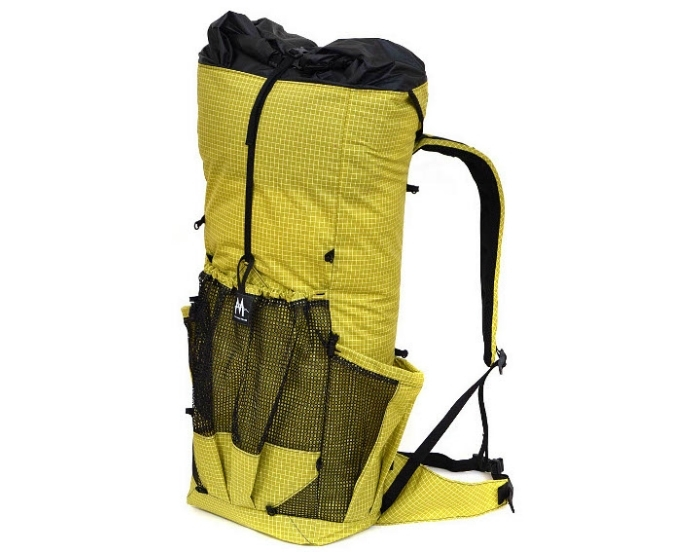 The side pockets are highly durable and reinforced, and the mesh outer pocket is a mainstay for ultralight packs, as it allows for more organization without added weight. The side water bottle pockets can be difficult to maneuver bottles in and out of on the go, which might be an annoyance for some hikers, and the rear mesh pockets are smaller than other UL packs. The internal frame is removable for outings with lighter loads. Extremely ultralight hikers with minimal base weights, carrying a maximum load of 20 pounds. 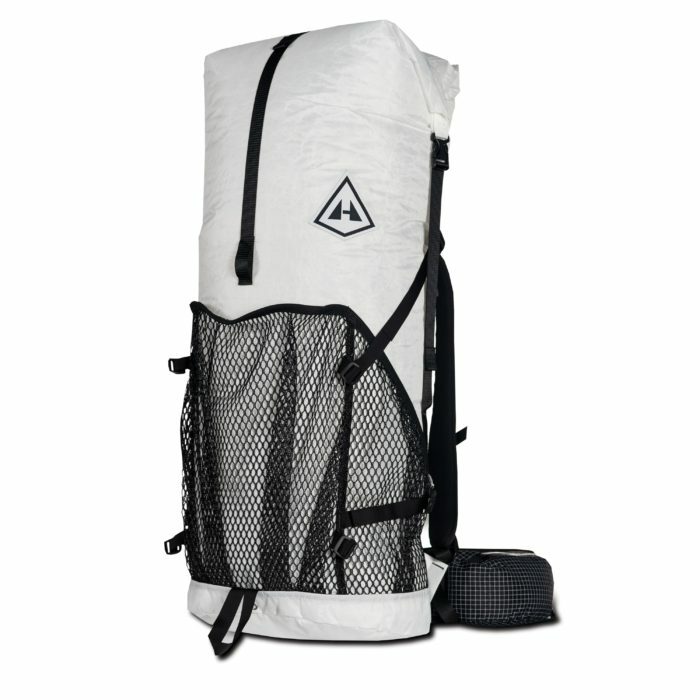 Dyneema construction with reinforced bottom, mesh side pockets hold a two-liter hydration bladder, sternum strap and hip belt, over-the-top compression strap, and roll-top closure. One of the most “trimmed-to-the-max” packs for fast-and-light UL backpackers, the Burn 38 strips down the pack to the bare bones—even the Dyneema hip belt is unpadded. The shoulder straps have a half-inch of foam padding, and the ergonomic S-shape fits more comfortably than past iterations of this model. This brand specializes in ultralight gear that won’t break down, and wearers know this pack is good for thousands of hard-earned miles. Bungee loops for additional gear and compression straps make gear more easily accessible, and will help keep the load tightened down. The durability has been thought down to the very last detail: the forward-facing edges of pockets are reinforced for bushwhacking, and help prevent snags and tears. Curved side panels transfer pack load closer to the back, providing more comfort given the lack of a suspension system, and the slanted mesh side pockets make water bottle accessibility a breeze. The hip belt is wide enough to distribute weight reasonably well, but some users might wish for a padded option. 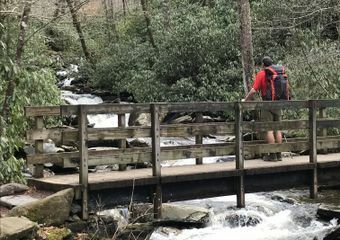 Ultralight thru-hikers looking for a minimalist pack, carrying a base weight of 12 pounds or less, and who know they won’t be overloading the pack. Roomy side pockets, mesh front pocket, proprietary external “flex arc” frame, roll top closure. 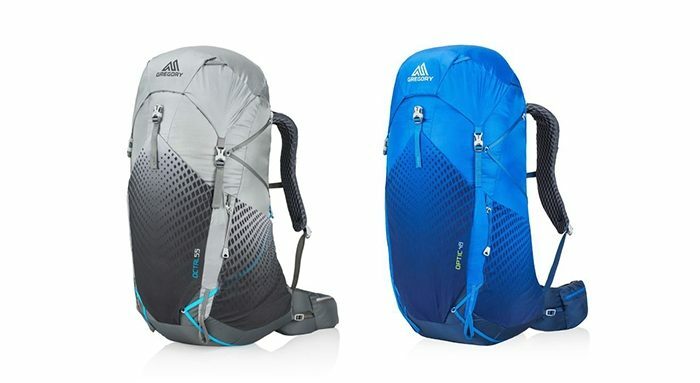 This pack is a good option for UL hikers who still want some support in their pack, but are still carrying the lightest gear out there. The “arc” refers to the pack’s external structure, which increases air flow against the hiker’s back while aiding in support. The hip belt pockets have plenty of room, and the pack construction is highly water resistant, eliminating most use for a pack cover or insert. Be aware that the “arc” can be difficult to bend enough to maximize air flow. It’s a durable frame, though, so don’t be scared to really work to get the right shape. 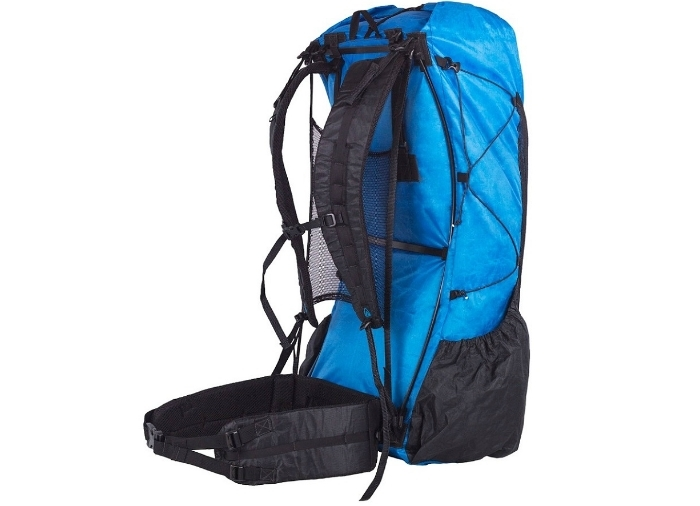 Like other UL packs, the mesh on the outer pocket has a tendency to tear easily. Keeping softer items in contact with the mesh will extend its lifespan, and we’ve seen instances of a support rod puncturing the top of the pack. The pack’s comfort maxes out at a hard line of around 25 pounds, so hikers should plan to carry less than that in total weight. The Brain comes standard with the crown 2 as well as hipbelt pockets. They are not sold separately as you guys have mentioned. Please double check your information. Makes me wonder how accurate the descriptions of the other packs are. I am missing one newcomer: waymarkgear Company! Would love to see this up here next year!